You put an anti-semite on a panel that fights anti-semitism? Yikes! A private university in New York City is hosting a panel on combating anti-Semitism — but there’s at least one glaring problem, according to critics: an avowed anti-Zionist protester is among the so-called experts. 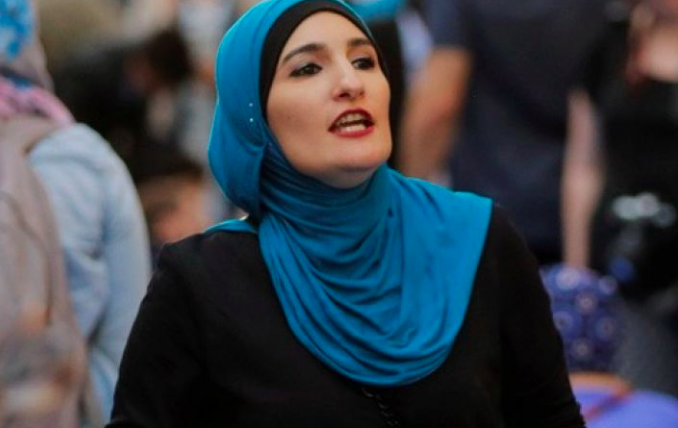 Sarsour has previously said “nothing is creepier than Zionism,” has lauded National of Islam Minister Louis Farrakhan and objected to the Jewish right to return to Israel. Further, the event, which is moderated by Amy Goodman of Democracy Now, appears to reject anti-Semitism while also exhibiting an anti-Israel stance. “When anti-Semitism is redefined as criticism of Israel, critics of Israeli policy become accused and targeted more than the growing far-right,” the event description reads.